SEOUL -- The sudden death of Hanjin Group patriarch Cho Yang-ho at an American hospital followed years of disgrace and stressful incidents the tycoon had experienced more than any other owners of South Korea's family-run conglomerates. He had groaned in anguish due to a series of scandals caused by his wife and two daughters who threw a temper tantrum. Cho joined Korean Air in 1974, working his way up the company ranks to become president in 1992 and CEO in April 1999 in a succession process orchestrated by his father Cho Joong-hoon who built his transportation conglomerate after starting out with a single truck in 1945. Hanjin owed much of its initial success to U.S. military contracts during the 1950-53 Korean War and then during the Vietnam War and took control of Korean Air in 1969. Like his father, Chon Yang-ho had focused on transportation, rather than investing in a wide range of enterprises, since his father died in 2002. He played a crucial role in bringing the 2018 Winter Olympics to the eastern ski resort of Pyeongchang and was credited with speeding up the construction of Olympic facilities with an aggressive campaign to forge a series of sponsorship agreements with major firms. Trouble began in December 2014 when Cho Hyun-ah, the eldest daughter, resigned as a Korean Air vice president after a "nut rage" incident that tarnished the group's reputation and prompted the tycoon to stepped up the succession of power to his only son, Cho Won-tae. In 2016, Cho Yang-ho resigned as chief organizer of the Winter Olympics in 2016 for political reasons and because a financial pinch hit Hanjin Shipping, which used to be South Korea's largest container carrier. 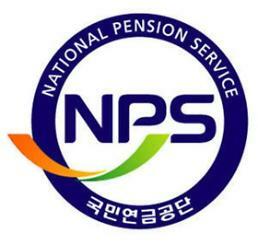 following a scandal involving Cho Hyun-min, the patriarch's youngest daughter who allegedly threw a glass cup and sprayed plum juice during a business meeting with advertising agency officials. The scandal fueled widespread public anger, leading to multiple investigations into the chairman, his wife and children on charges of creating a slush fund, evading taxes, bringing in luxury foreign goods illegally, abusing and assaulting company employees and others. 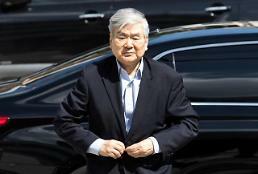 The tycoon himself had been investigated by prosecutors for alleged illegal business practices. He was on trial after being indicted on embezzlement and other charges. He allegedly awarded improper contracts to companies controlled by his family, used a borrowed name to run a pharmacy illegally and embezzled company money to pay attorney fees for him and his family. In February, Hanjin came up with a roadmap for transparent management in response to consistent pressure from shareholders to solve its crisis through an active campaign to enhance corporate governance and jettison non-core assets. The tycoon offered to reduce his group-wide influence by throwing away executive posts at all but three key units -- Hanjin KAL, the group's holding company, Korean Air and Hanjin Corp., a logistics unit. 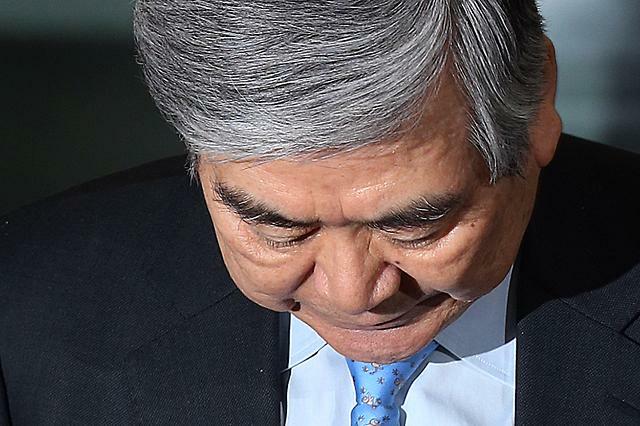 Cho Yang-ho suffered disgrace on Mach 27 when Korean Air shareholders rejected a company proposal to retain his three-year board membership as executive director, becoming the first group head to be kicked out by shareholders in South Korea. With his father-to-son succession process unfinished, Hanjin will be controlled by Cho Won-tae, 43, who joined the group in 2003 and became Korean Air's president in 2017. Shares of Hanjin KAL surged after the death of Cho Yang-ho that prompted Korean Air and other units to launch an emergency management system. 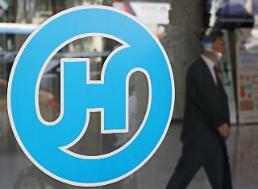 At 1:45 p.m. (0445 GMT), Hanjin KAL was up 19.25 percent to trade at 30,050 won ($26.3). 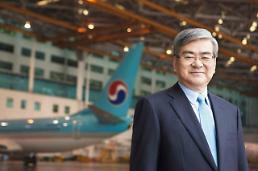 Korean Air rose 1.88 percent and sister companies were also in positive territory. Cho Yang-ho owned 17.84 percent in the holding company, while his son and two daughters control up to 2.34 percent respectively.